If you know anything about growing cannabis, you might have noticed that many growers have a disdain for one another. It quite surprising to see such vitriol in a group that’s growing a plant that’s supposed to mellow them out. All this fighting is due to agricultural practices, and one of the biggest things growers fight about is how important it is to grow cannabis organically. Tell some organic growers you grew with bottled nutrients and they’ll look at you like you insulted their mother. And this pressure to grow organic cannabis doesn’t just stop there. CBD products — derived from the non-psychoactive version of cannabis, hemp — have flooded the natural health world. Here, growing organic foods and medicines is prioritized above just anything else you can think of. This has put more pressure on hemp growers to go organic. So what does it look like to grow organic cannabis and hemp, and why will so many only use it when it’s organic? Well, today we are looking at just that. This article is brought to you by Vitaleaf Naturals and their line of PurCBD tinctures, capsules, topical, and more. There are two big reasons many people want their cannabis products like CBD organic. The first has to do with how they affect the body. Let’s use CBD as an example since these products have a higher demand that they are organic. However, know that these examples will apply to all cannabis plants/products. CBD works by harmonizing itself with critical regulatory systems — most noticeably by indirectly activating CB2 receptors found in the endocannabinoid system (ECS). All cells have receptors sites on them so they can receive chemical messages sent by the brain and other parts of the body. When a cell has its CB2 receptor triggered, the cell refocuses its priority and activates its regulatory processes. While CBD interweaves itself with other important regulatory receptors, — that we will look at — its activation of CB2 receptors alone can help balance and stabilize numerous biological functions. ●	Immune System — CB2 receptors are found in all parts of the body, however, you can find them heavily in the spleen, tonsils, and thymus glands. This is because no defense system in the body has more CB2 receptors than the immune system. CB2 receptors help modulate the inflammatory process by ensuring it completes its cycle. Reducing chronic and uncontrolled inflammation is the key to treating a long list of diseases. ●	The Brain — Microglia cells contain numerous CB2 receptors and they account for 10-15% of the cells in the brain. They are the first and main active immune defense in the central nervous system. These cells have two main regulatory roles. First, they protect against viruses, bacteria, etc. Second, they maintain homeostasis in uninfected regions. Homeostasis is how our bodies balance our internal temperature, pH, concentrations of sodium, potassium, and calcium, fluids, etc. ●	Gastrointestinal — CB2 receptors modulate the inflammatory response in the intestines. As well, it protects natural and healthy gut flora by quelling an overactive immune system. Research indicates that by activating CB2 receptors, we can help manage conditions such irritable bowel syndrome and Crohn’s disease. CBD activates and promotes CB2 receptors and therefore ECS by working with specialized neurotransmitters called endocannabinoids: anandamide and 2-arachidonoylglycerol (2-AG). In a healthy individual, there are enough endocannabinoids to saturate specialized regulatory receptors both inside and outside the ECS. In unhealthy individuals, it likely you’ll see a deficiency. ●	5-HT1A Receptors — These receptors play a big role in regulating addiction, anxiety, appetite, nausea, pain, and sleep. It’s naturally activated by both endocannabinoids and serotonin neurotransmitters. Antidepressants like SSRIs work by targeting the family of receptors (5-HT) this one belongs to. ●	TRPV1 Receptors — The health benefits of vanilla and hot chili peppers owns much of it thanks them activating TRPV1 receptors. Endocannabinoids bind to them as well. These receptors have a few roles, but their main role is controlling perception to pain. ●	GPR55 Receptors — Until now, we’ve always seen benefits when certain receptors on cells are activated, but this isn’t always the case. Overactive GPR55 receptors can promote osteoclast cell function leading to osteoporosis as well as cancer cell proliferation. CBD and endocannabinoids are antagonists of this receptor inhibiting their activation. ●	PPAR Receptors— These receptors are found on the nucleus of cells and when activated play an important role in inducing tumor regression and degrading amyloid-beta plaque that helps Alzheimer's disease form and develops. But CBD doesn’t stop there, the last thing CBD does is closely mimic endocannabinoids giving CBD the ability to directly attach to and activate all the receptors sites we looked at — except for CB2 receptors. This is important for severe deficiencies and why CBD can provide relief with first-time use — it may take a week before you feel the full effects, however. So why go into such detail about how CBD works. Well, because it’s either directly or indirectly attaching to many receptors on cells and enzymes we need to stay healthy and alive. The last thing we want is pesticides and other dangerous chemicals piggybacking on CBD — potentially coming in contact and damaging cells that keep us healthy and alive on a cellular level. CBD is derived from hemp plants which are the non-psychoactive version of cannabis. The other being marijuana which contains high levels (15-30%) of tetrahydrocannabinol. Hemp is legal to grow as long as they don’t go over 0.3% THC because there isn’t enough to cause a high. It’s important to grow cannabis and therefore hemp organically because cannabis is a phytoremediation plant. These are plants that love “cleaning” the soil of minerals they grow in because they are big eaters. However, their ability to do this means they can easily absorb heavy metals and carbon pollutants. Besides hemp, phytoremediation plants included mustard, alpine pennycress, and pigweed. *Research shows that cannabis cannot tell the difference between organic nutrients and synthetic nutrients, and often bottle nutrients are already broken down into the form required for the cannabis plant to uptake them. ●	Planting non-GMO seeds or clones — cloning hemp is as simple as cutting off a side branch and planting it. It will also guarantee the plants are always female with extremely low THC without the use of chemicals or chance that comes with seeds. ●	Nutrient-rich soil free of toxins. An isolated form of CBD has only just now received approval by the FDA. The FDA holds the term USDA certified organic and will not extend it to crops not approved by the FDA. Only this isolated form of CBD has been approved and not entire hemp plant itself. Most CBD oil isn’t purely the cannabinoid, cannabidiol (CBD). Instead, it’s made up of hundreds of different phytocannabinoids and terpenes that all benefit health due to the phenomenon the entourage effect — we call this full spectrum CBD oil. In short, the other phytocannabinoids and terpenes greatly improve CBD’s bioavailability and attach to the same receptors, cannabidiol (CBD) and endocannabinoids do. Getting certified organic is difficult as it takes years and thousands of dollars. In CBD’s case, they reduced it to a single molecule just to get approval. This will open the door to whole plant CBD oils that work considerably better and account for 90% of CBD products on the market. Fortunately, this isn’t stopping many farmers from growing organic. Because CBD oil and hemp is deeply attuned to our bodies — working on a cellular level — we want to make sure it’s not bringing along dangerous chemicals that were absorbed when growing. This is the case with any plant that interacts with the body on a cellular level. But it’s even more crucial for hemp because it’s a plant that can easily uptake toxins and heavy minerals. 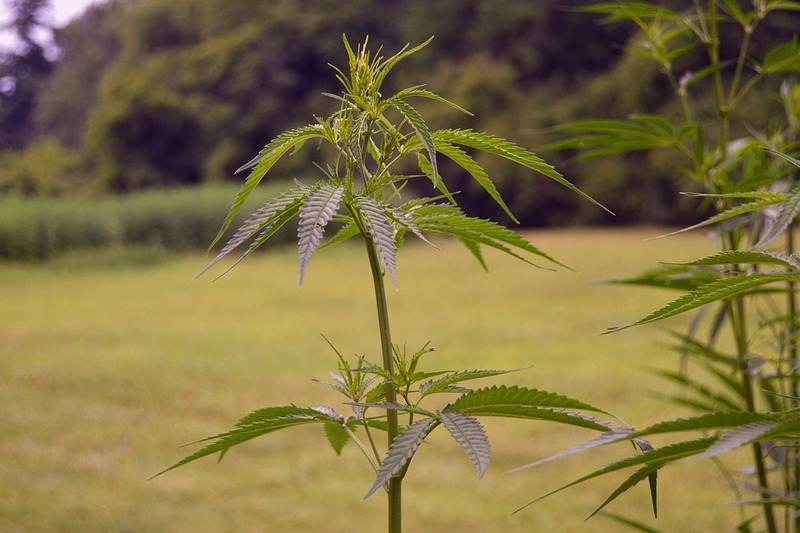 Unfortunately, hemp cannot be currently certified organic, but that doesn’t mean there aren’t hemp farms whose plants could easily achieve the label. If you know what you’re looking for, you can determine whether or not a product is truly organic. So here’s how you can tell if your CBD is pure or not. ●	First, look for the words organic — why bother researching a product if a CBD product is organic or not if the company doesn’t clearly state it. ●	Second, look for a solventless method of extraction like CO2. ●	Third, you’ll want to read the Certificate of Analysis which is lab tested results performed by an unassociated party. These lab results show you what in the CBD extract and how much it makes up the product. Match the label to the results, and all great CBD companies make the COA easy to find. ●	Fourth, make sure they are using an organic carrier oil that is either hemp seed or coconut oil. It’s necessary to mix the hemp extract that contains CBD with a high-fat oil so the cannabinoids can bind to a fat that's easily absorbed.